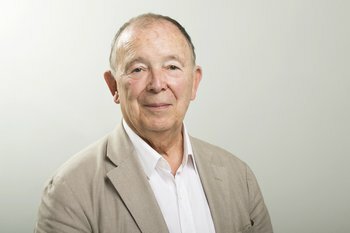 Prof. Jean-Pierre Changeux, Emeritus Professor of Neuroscience at the Institut Pasteur and Collège de France has been selected as the winner of the 2018 ALBERT EINSTEIN World Award of Science. 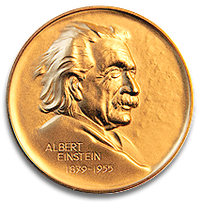 The eminent scientist has made contributions to multiple fields of investigation, from molecular neurochemistry to the theory of consciousness. In the Human Brain Project he leads the Co-Design Project “Modelling Drug Discovery” which uses molecular dynamics simulations for the design of new classes of drugs targeting allosteric sites of receptor proteins. He also has been a founding member and later leader of the research area Ethics and Society in HBP and will be a keynote speaker at the HBP International Conference on Consciousness from June 21-22 in Barcelona. Prof. Jean-Pierre Changeux, who leads one the HBP's co-design project “Modelling Drug Discovery”. Professor Changeux has received many major scientific acknowledgements and prizes, among them the Wolf Prize in Medicine (1983), Grand Prix de la Fondation pour la Recherche Médicale (1997), the Linus Pauling medal (1999) and the Balzan prize (2001). He was invited to become a member of various academies of Science and Letters, among them Academia Europaea, Accademia dei Lincei, Leopoldina and the French Académie des Sciences. He is doctor honoris causa of almost twenty universities worldwide.